This exceptionally intense episode gives us an excuse to talk about a couple of interesting production topics! 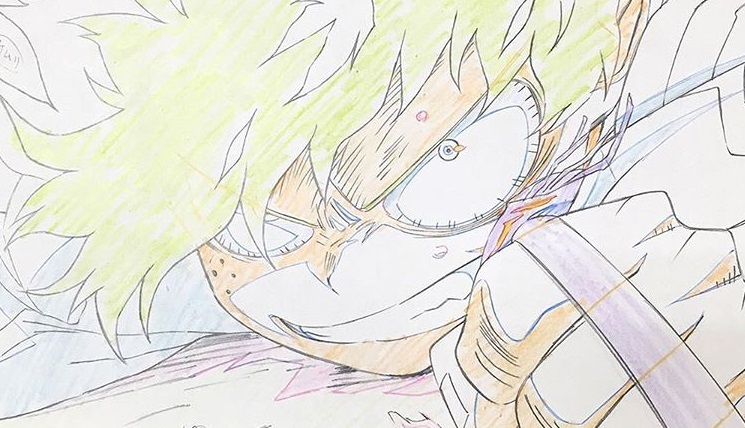 First of all I’d like to talk about the early return of episode 14’s animation directors Takahiro Komori and Tsunenori Saito. Episodes this close to each other having the same pair of animation directors is fairly unusual. I can think of two potential reasons here; for starters, episode 14 was fairly low-key and had a lengthy recap, so the strain on the duo of experiened animation directors wasn’t huge. And beyond that: the show’s smooth schedule simply allowed it. Truth to be told, the exact opposite case also causes the recurring presence of supervisors – in much larger numbers – working throughout the show on close-by, sometimes consecutive episodes. This happens in extremely rushed productions, where people are forced to work on small chunks of episodes just to get them finished in time. 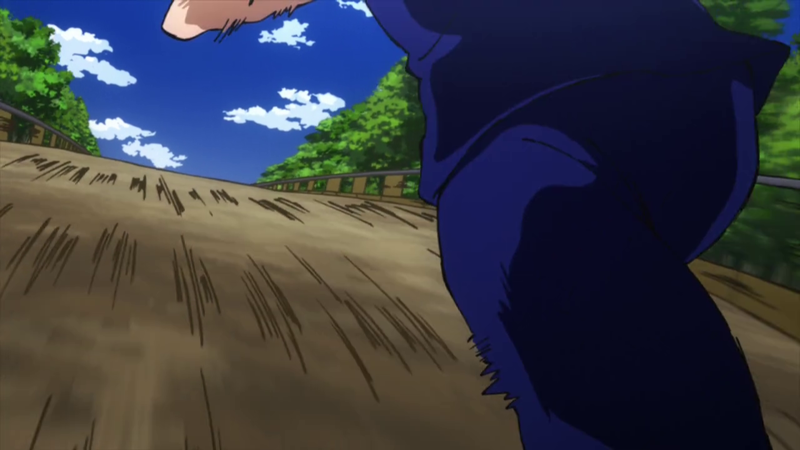 It essentially shortens the production time, at the cost of any sort of consistency in the drawings and often with a flat-out negative impact on the quality of the animation. 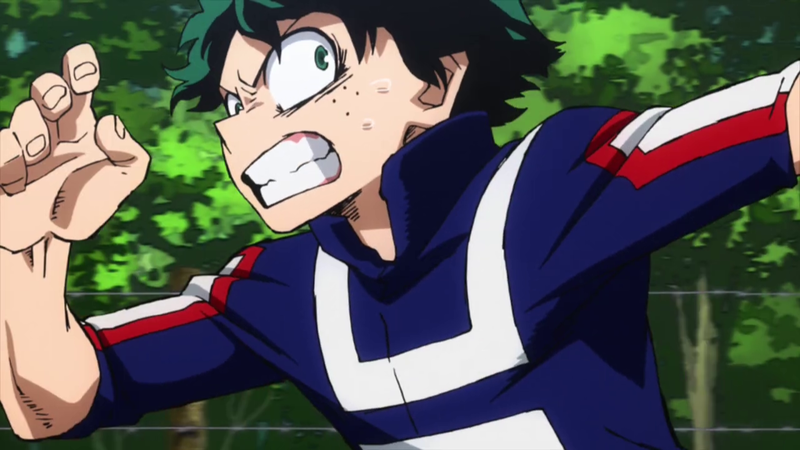 Fortunately, this is an extreme situation we certainly won’t encounter on HeroAca‘s second season. Contrary to episode 14, and despite feeling like it was treated with relative low priority production-wise, this week’s serving was quite high on calories – an actual industry term used to describe episodes that require a good deal of animation power. Episode 16 featured a large number of elements that required actual motion, including mechs, smoke effects, explosions, plus characters running, avoiding obstacles, and fighting each other. This was probably the reason why three assistant animation directors had to be called for help. While I’m not doubting Komori and Saito’s skills, taking on this episode shortly after handling the premiere might have been a bit too much of a hurdle, especially since this episode was likely allocated less time. I believe I haven’t emphasized Yoshihiko Umakoshi’s role as the series’ chief animation director enough in my coverage so far. He works on every single episode, but doesn’t appear in the ending staff roll because series roles (as opposed to episode ones) are generally listed during the opening. Considering how palpable his input is though, I’ll start including him in my own translation of the credits at the beginning of each post. I talked about his big influence in my post focusing on season 1, but the sheer volume of work he seems to be undertaking for the sequel is an order of magnitude larger. The characters generally look closer to the his own animation models and that mainly comes down to the extra time he’s been given so far. Some of his drawings simply ooze charisma. 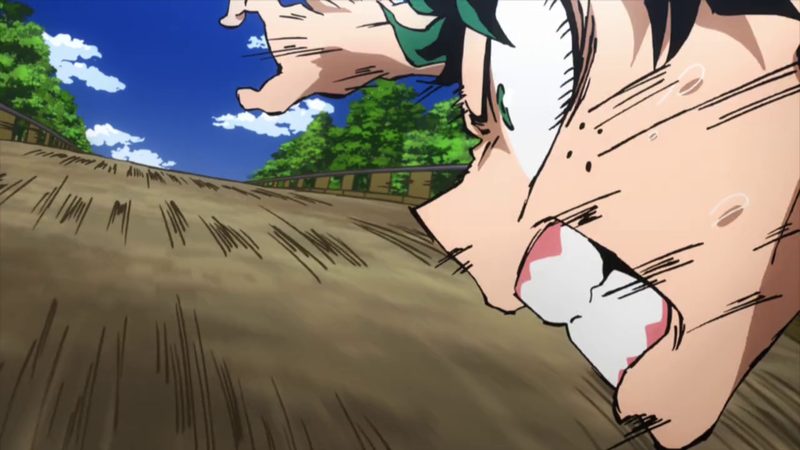 His impact on the show’s animation becomes evident when he accentuates his rough lineart style; that tends to happen when stakes are high, such as during intense action bits. 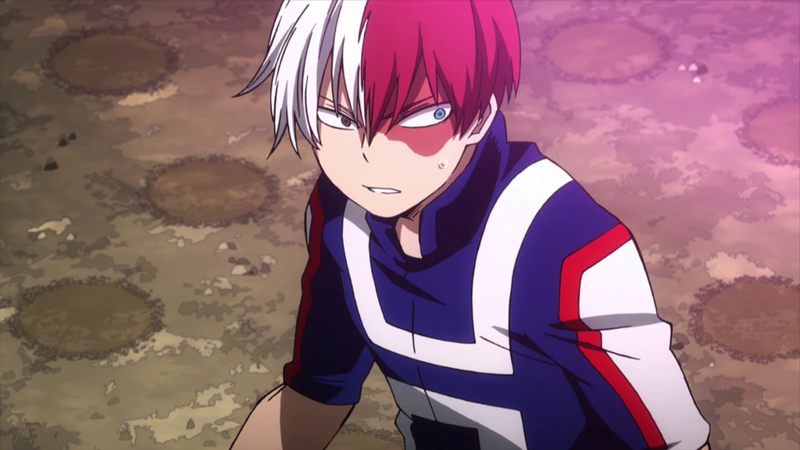 The most notorious example in this week’s episode would be during the climax, when Deku smashes a mine and flies past Bakugo and Todoroki. The original key frames for this scene belong to Masaya Sekizaki, and Umakoshi drew these line corrections over them. Another good instance would the scene featured in the intro picture, particularly during that exact closeup. I’m going to continue highlighting Umakoshi’s influence on the show’s animation in the future, so if you’re interested watch out for my upcoming posts! As a final note, I’ve been noticing a trend in the key animation credits: the production is relying in quite a lot of women, since so far the first three episodes have featured more female key animators than male ones. This is becoming a more common event in recent years, despite anime still being a male-dominated industry. 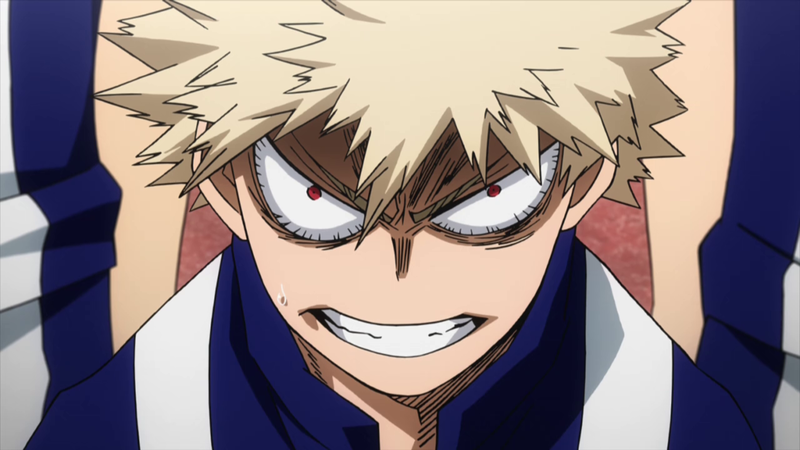 The problem about higher positions being in the hands of men still remains, but at least the next two episodes of HeroAca will have two women amongst their animation directors. It’s always interesting to keep an eye on these developments, even if there’s no inherent link to the quality of the animation these artists put out.